HD-DJ based in East Sussex was established by Sussex wedding DJ J Rocks back in 2003. J Rocks has been a Disc Jockey professionally for the last 15 years. Prior to making his passion for music his full time career, J Rocks worked alongside many top London bands providing sound and lighting for all of their events. With a history of sound engineering and a music educator teachers degree J Rocks is more than just a Sussex wedding DJ. 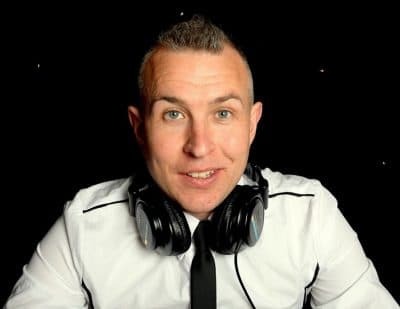 Sussex wedding DJ J Rocks is a consummate professional but very much a people person, he takes a very personal interest in each and every client that he works for, determined to create a party that will keep everyone happy which has never gone unnoticed! Sussex wedding DJ J Rocks specializes in providing quintessential DJ entertainment and event services for corporate events in London and weddings in Sussex & Surrey. I play the right music just at the right time, I react to whatever is happening on the dancefloor and I do not just play the same music at every party! Every DJ set I perform is different, I mix musical styles without destroying the vibe! I can skilfully mix in your preferences and your guests requests without tripping up the dancefloor. Having a huge collection of music and extensive musical knowledge coupled with my unparalleled ability to read a crowd makes me the first choice for discerning clients that want the ultimate party. Based in Sussex as an expert wedding DJ but also known as an international DJ J Rocks regularly performs at many events around the world. In recent times DJ J Rocks has performed at weddings and corporate events across London and in Salzburg, Oslo, Rome, Venice, Paris, Valencia and Ireland. Over the last ten years DJ J Rocks has entertained thousands of people, with Prince Harry, Tony Blair, Trevor McDonald, Sir Alex Ferguson, comedian Victoria Wood and the cast of the hit TV show The Only Way Is Essex in attendance, to name a few. Recently DJ J Rocks performed as the warm up DJ for Scott Mills and Jaguar Skills.